Allergies are medical conditions caused primarily by hypersensitivity of the immune system to some external stimulus. Allergy may cause anaphylaxis—a medical condition that can cause irritation of the skin, swelling of throat, shortness of breath, and in some cases, death. Allergies are caused by various allergens such as pollen grains, or certain foods such as peanuts. Vaccination is the process of administering antigenic material or a vaccine to stimulate one’s immune system to build up an adaptive immunity to pathogens. Companies operating in the market in the current scenario are focusing on obtaining approval for their products from the respective regulatory bodies. The major companies operating in the market are Allergy Therapeutics, Zicam, Aravax, Immunomic Therapeutic, Inc., Astellas, and Aimmune. Food allergy is one of the major forms of allergies. Food allergies can be caused by cow’s milk, eggs, shellfish, and many other foods, including peanuts. However, peanut allergy is very prevalent in the present scenario, especially in children. Therefore, peanut allergy vaccine market is likely to gain significant traction in the near future. 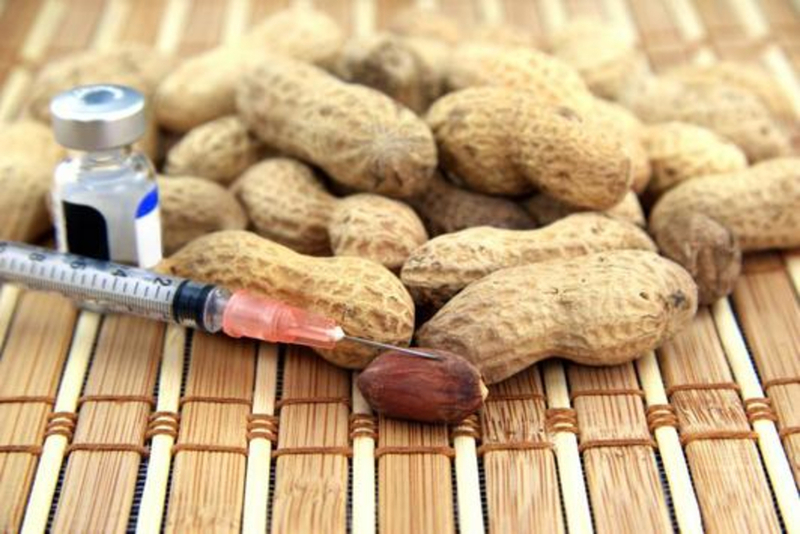 Peanut allergy vaccine is administered to patients who are detected with a probability of developing peanut allergy, so as to prevent occurrences of allergy attacks such as anaphylaxis in the future. According to a report published by National Centre for Biotechnology Information, allergy to peanuts as well as tree nuts (TNs) is the principal reason for fatal allergic reactions in the U.S., and the occurrences appear to be rising. In this 11 year follow up research, over 1% (around 3 million) people reported peanut or tree nut allergies and the condition has been on the rise, mainly amongst children. According to a report by Food Allergy Research and Education (FARE), peanuts caused the most number of allergies in the U.S., among all food allergens. Hence, peanut allergy vaccine market has a major potential for growth in this region during the forecast period (2018–2026). Government initiative towards creating awareness and regulatory approvals for peanut allergy vaccine is necessary for the growth of the market. Some of the other treatment methods for peanut allergy are oral immunotherapy and epinephrine treatment. However, neither of these treatments has gained significant momentum in the peanut allergy treatment market.